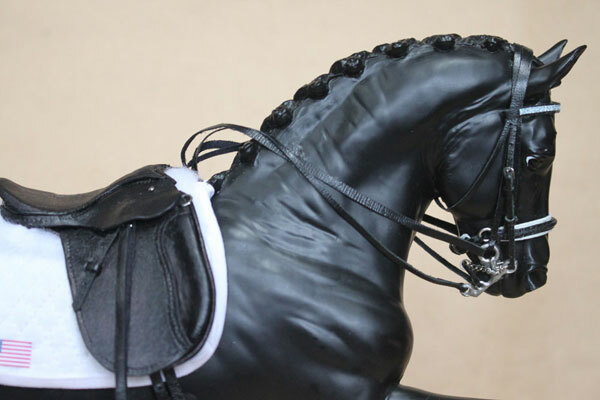 Dressage saddles are traditionally black in color. You can order them with grain leather padded flaps or suede leather padded flaps. 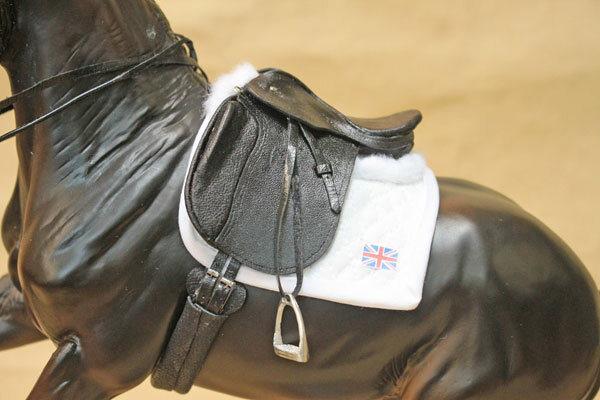 Lower level dressage saddles don't usually have much in the way of knee rolls or thigh blocks, while upper level dressage saddles often have large, exposed knee rolls and thigh blocks. 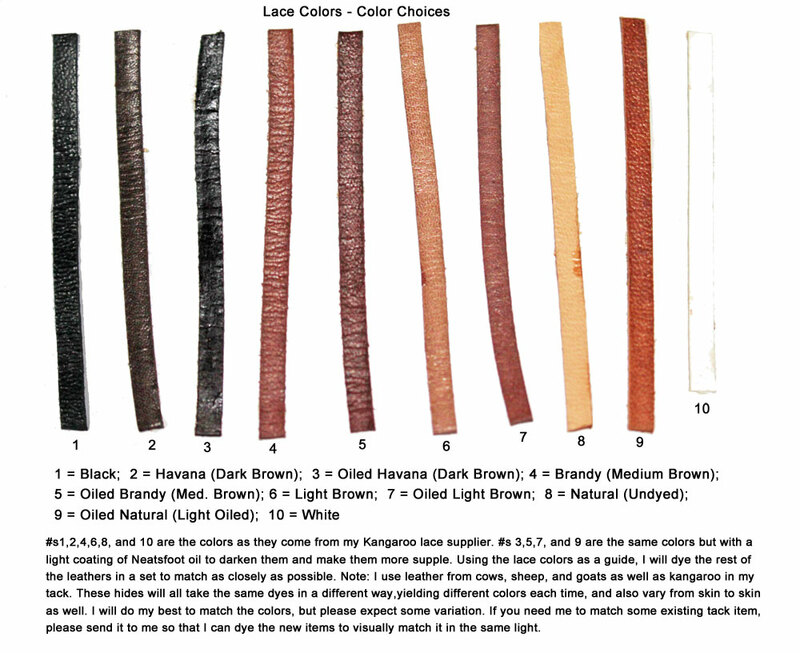 If you want a different flap shape, please submit a photo of a saddle similar to what you want via email, and I will let you know if I can make it and if the price may differ from these shown. 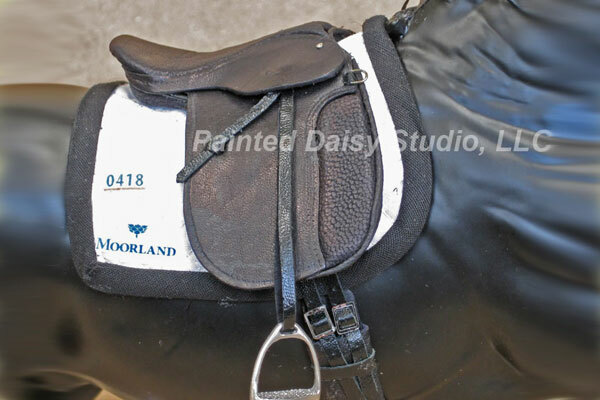 Saddles come with stirrup leathers and metal stirrups. Regular saddles have 2 D-rings near the pommel, but no Ds near the cantel. Extra Ds adds 2 Ds on the right (off) side near the cantel. You will have to order your girth separately. You may need different size girths for different size horses. 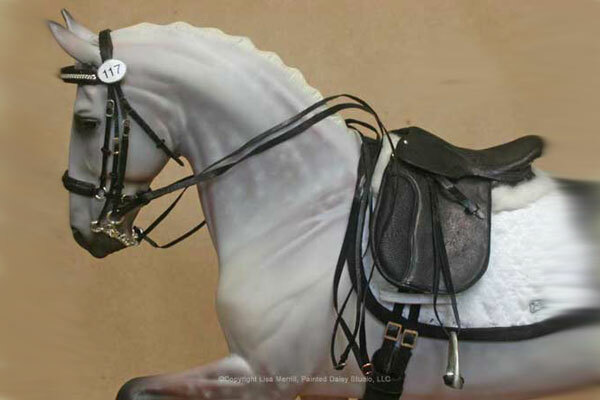 Dressage saddles typically use a short girth because they have long billets. 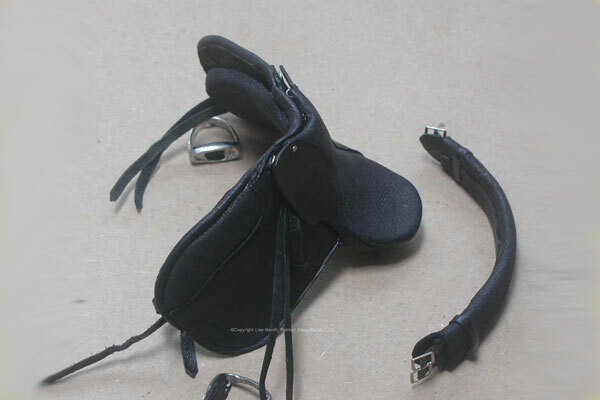 This eliminates the extra bulk caused by girth buckles under the rider's leg. 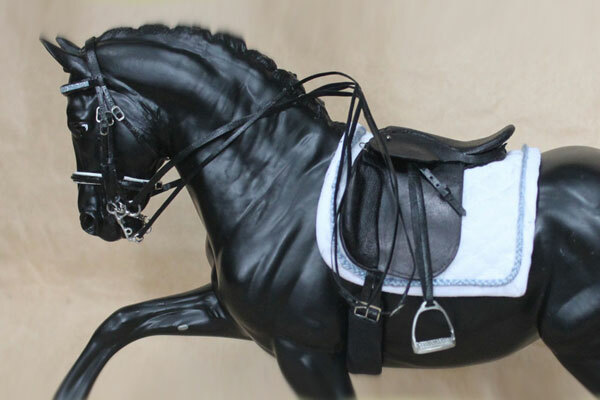 You will probably also want to order a saddle pad to go with your saddle, and a bridle for each horse.